Use Brant InStore’s high quality printing processes and specialty finishing options to achieve the effects you want. 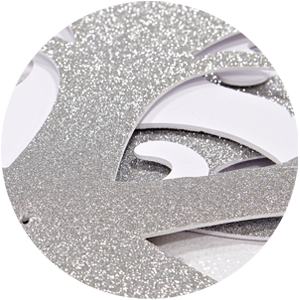 Our finishing department is capable of creating something unique for your message, from foil finishes to holographic backgrounds, our wide variety of finishing options will take your solutions to a whole new level. With diecutting, you can create custom shapes, cutouts, slots and so much more. Take a mediocre solution and make it mouth-watering. 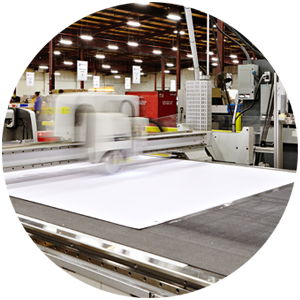 Ask us how our specialty diecutting capabilities can help your campaign rise above the rest. Specialty printing, including the use of glitter, can create eye-catching results. Available in silver or gold, this process can be a sparkling addition to any project that needs that extra touch. DON’T LET YOUR MESSAGE GET SOGGY. Use lamination to ensure that your message looks as strong on day thirty as it did on day one. 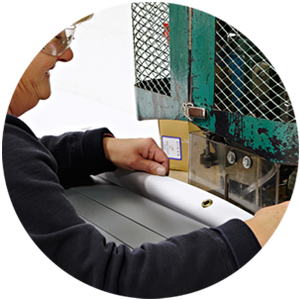 Brant InStore’s laminating services can preserve your campaigns from the wear and tear caused by moisture and handling. Grommets are a necessity on those hard-to-secure projects. Whether you are tackling the weather, or avoiding every day wear and tear, your project is no match for our expert finishing department. 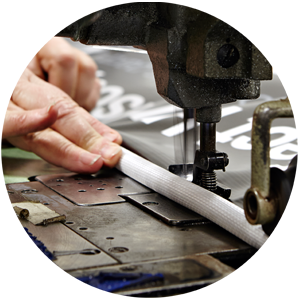 Brant InStore’s sewing department can help to ensure that your message stays in one piece. With super strong thread, we can reinforce any seam to take whatever weight you can throw at it! Prevent your message from fading and curling by adding a clear, protective UV coat. This way, your message can handle the outdoor elements without fading over time.